Caregivers understand the importance of creating a holding environment in which people can safely explore their inner lives. Similarly, our own mindfulness practice will benefit if we can establish an internal container that is akin to the safe external environment we offer to others. Throughout this course we will study and practice setting up the internal structures conducive for making progress in mindfulness meditation. We will offer many instructions and guided meditations designed to create a personally meaningful and enriching environment in which mindfulness practice can flourish. During our mostly silent time together, group discussions and mindful communication exercises will be offered. Apart from these exercises, silence will be observed, including during meal times, in order to facilitate a deeper contemplative experience. Mornings and evenings are devoted to guided sitting and walking meditation. To utilize mindfulness and concentration practices in the service of being present and deepening therapeutic presence; be able to identify and establish the essential components of the holding environment for mindfulness meditation practice; demonstrate how to set up mindfulness practice in all four postures (sitting, standing, lying down, and walking); utilize compassion practices to enhance empathic attunement; and learn techniques for working with unwholesome mind states. This program is designed to meet the continuing education requirement for those whose state licensure boards require ethics credits for license renewal.However, we suggest that you check with your local licensing board to ensure this program meets their criteria. 12 continuing education credits for psychologists have been approved for those who attend this program in full. We are not able to offer CEU's for Counselors (NBCC). This program has been approved for 12 social work continuing education hours for relicensure, in accordance with 258 CMR. Collaborative of NASW and the Boston College and Simmons Schools of Social Work Authorization Number D 80155.d. Please note that we charge a $25 processing fee for CEUs. More information is available here. 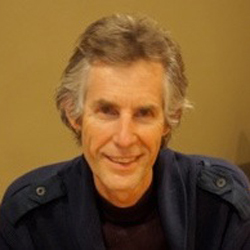 Bill Morgan, PsyD, is a clinical psychologist in private practice in Cambridge, MA. He has participated in many intensive retreats in meditation practice over the past 40 years and recently completed a four-year meditation retreat at the Forest Refuge in Barre, MA. Together with Susan Morgan, he has been leading mindfulness retreats for 15 years. 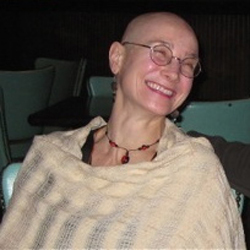 Susan Morgan, CNS, is a psychotherapist in Cambridge, MA. She is a board and faculty member of the Institute for Meditation and Psychotherapy and contributing author to Mindfulness and Psychotherapy. Susan has a longstanding meditation practice and recently completed a four-year meditation retreat at the Forest Refuge. She has been leading retreats, primarily for caregivers, for the last 15 years. Lovingkindness and mindfulness of the body are integral to her teaching.